Some of the key HVAC services we offer in Barrie include air conditioning and heating repair, maintenance, and installation. Your business relies on its HVAC system on a daily basis to ensure things remain comfortable and your employees are able to continue to perform their duties. If you experience a sudden outage or your system becomes unreliable unexpectedly, an HVAC malfunction can quickly threaten the efficiency and profitability of your operations. This is why we proudly offer HVAC services in Barrie, Ontario that are known for their reliability. Some of the key HVAC services we offer at L&B Mechanical include air conditioning and heating repair, maintenance, and installation. Whether you are interested in upgrading your heating system before winter or your AC unit is failing to keep your location at a consistent temperature in the summer, we can help. Our highly skilled technicians know how to diagnose problems quickly and correctly and fix them with impressive proficiency. 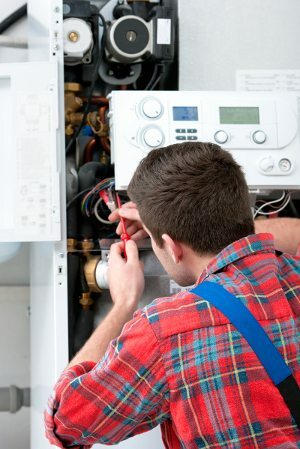 Our HVAC services are also complemented by 24/7 emergency availability. We make ourselves available to you whenever you need us because we realize how stressful it can be to not know what to do when you are having heating or cooling problems. When you turn to us, we will respond to your request for help with urgency and ensure the issue is taken care of in no time. If you have any questions about the HVAC services we provide, we would be more than happy to give you further information. Get in touch with us today at L&B Mechanical to speak with one of our friendly, knowledgeable representatives.